Born in Eastern Tibet in 1937 and discovered by the Tibetan King of Nangchen at the age of seven, the 8th Kyabjé Garchen Triptrul Rinpoche was the reincarnation of a 12th century Mahasiddha named Gar Chodingpa, one of the heart disciples of the famed Jigten Sumgon, Kyobpa Rinpoche – the founder of the Drikung Kagyu lineage that traces back to the great translator Marpa Lotsawa and the incomparable poet-yogi of Tibet by the name of Milarepa. Garchen Rinpoche was also said to be an incarnation of Mahasiddha Aryadeva, the lotus-born disciple of the great Nagarjuna Bodhisattva. During the political turmoil in Tibet following the Chinese invasion in 1959, Garchen Rinpoche risked everything to protect the BuddhaDharma and to defend his country and its people. He was imprisoned for nearly 20 years, and it was in the prison where he met his root lama, the great Nyingma master Khenpo Munsel. Enduring hardship and practicing diligently, Garchen Rinpoche attained the realization of the lama’s wisdom mind. Following his release from the prison, Garchen Rinpoche has worked tirelessly to rebuild his monastery in the Gar village, as well as many other Drikung Kagyu monasteries in the greater area of Eastern Tibet. For a period of ten years, it was said that Garchen Rinpoche did not lie down to sleep, but rather to sit and meditate throughout the night. The extraordinary life journey of the 8th Garchen Rinpoche, as portrayed in the Garchen Rinpoche’s Official Biography, “The Lama of Many Lifetimes”, and in the documentary film, “For the Benefit of All Beings”, inspires many of us to follow his example in order to embody Pure Love, the most sacred potential and the sunlight of the human mind, especially to embrace the “give-and-take” practice by sending love and happiness to all beings while taking away their sufferings. The great compassionate Arya Tara is Garchen Rinpoche’s main yidam deity whose enlightened activities he aspires to follow to bring love and compassion to all sentient beings. 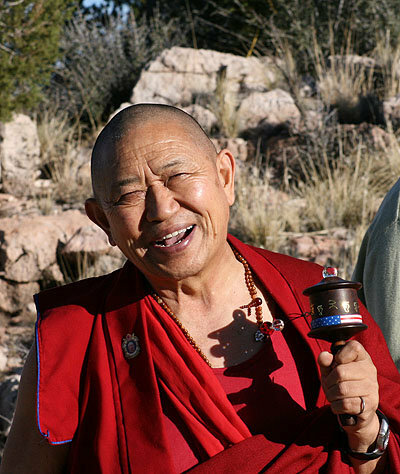 Garchen Rinpoche is well-known throughout the world as a selfless, awakened master of vast realization with extraordinary love and limitless compassion. His sole wish day and night is to benefit everyone without exception. Garchen Rinpoche is highly revered not only by masters and disciples of his own lineage but also masters and disciples of other traditions. 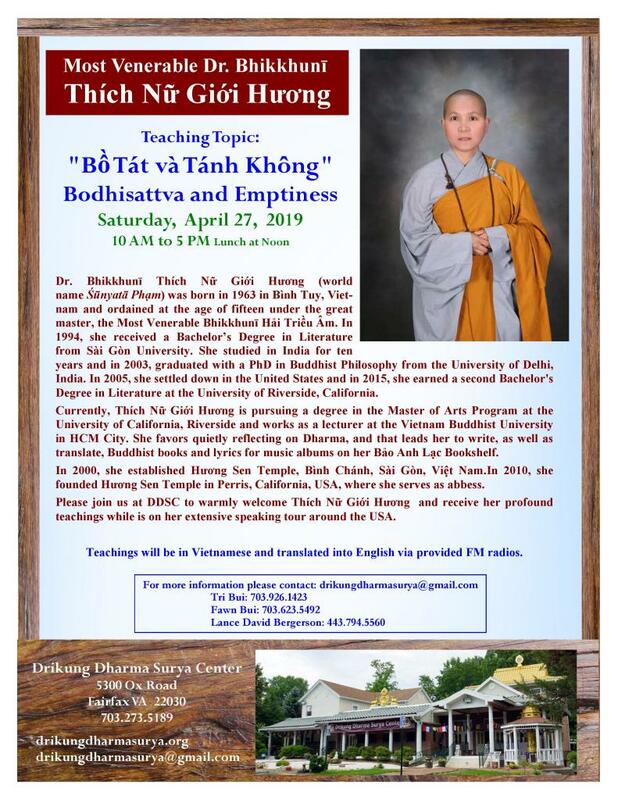 Great blessings can actually occur by just seeing or coming into contact a great being like Garchen Rinpoche; this is called “Thongdrol” – liberated by seeing! 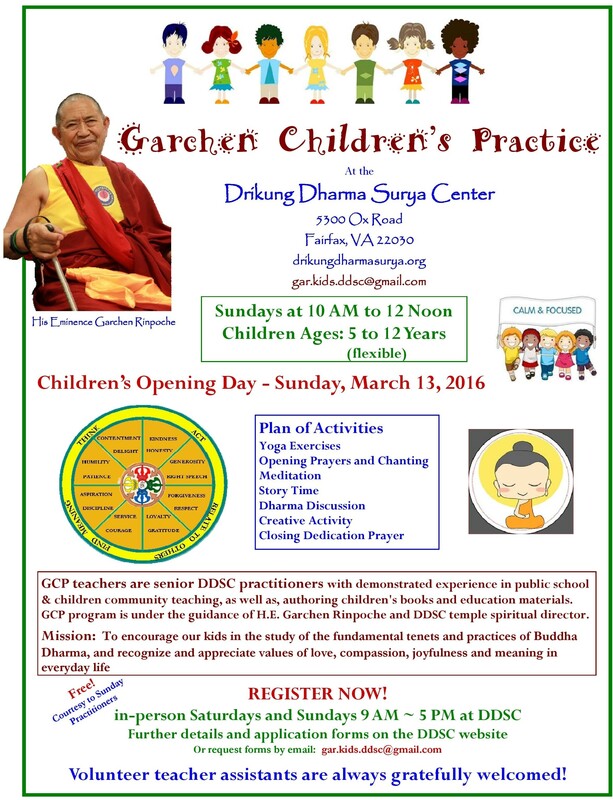 Garchen Rinpoche is regarded as a simple, humble Buddhist monk. He always holds a prayer wheel in his hand, and continuously spins the wheel to pray for, and to radiate compassionate energy to, all beings. Like an old and experienced father, Garchen Rinpoche always shares his heart-to-heart advice with and relays his teachings to everyone through his own personal insights based on the great hardships he endured and the spiritual fruition he reaped. Even now at the age of eighty, Garchen Rinpoche continues to devote his time to traveling tirelessly with an exhausting schedule around the world, across North America, Asia, Europe, South America and Middle East, to teach the BuddhaDharma, especially the infallible law of karma, the precious Bodhicitta, and the essence teachings of the Thirty-Seven Practices of Bodhisattvas, a commentary written by the Bodhisattva Ngulchu Thogme Zangpo.